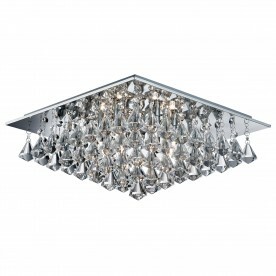 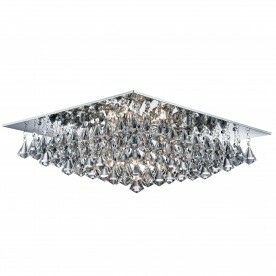 This IP44 chrome semi-flush with clear crystal droplets looks stunning on any bathroom ceiling. 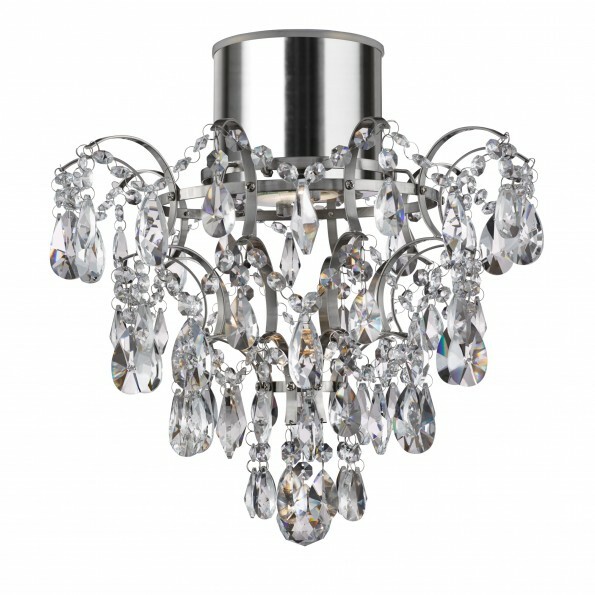 The luxurious fitting is fully splashproof and features a downlighter surrounded by decadent crystal trimming and balls. 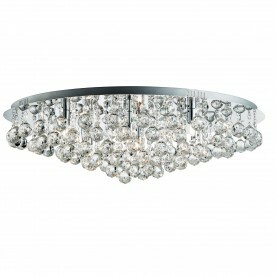 And the elegant mirrored ceiling plate completes the look of this bathroom chandelier. 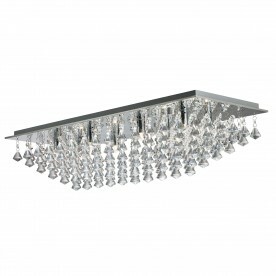 The fitting is also IP44 rated and fully splashproof making it suitable for any bathroom.